New Jersey's Newark Liberty International Airport is set to receive a $120 million upgrade to United Airline's main terminal with some of the funds going towards iPads, Bloomberg reports. The airline is planning to offer Apple iPads to customers at certain locations around the terminal, namely restaurants and cafes. Similar upgrades have been utilized by other airlines in high-density airports like LaGuardia in New York. "From our perspective what we're looking for, and what we look for in all of our hubs, is something that’s going to be a benefit for our customers -- something that’s going to make the time they spend in the airport more productive, more enjoyable, comfortable," Mary Clark, a spokeswoman for the airline, said in a telephone interview. As more and more airlines strip away the privileges of air travel to save money, focus is shifting towards ground amenities. 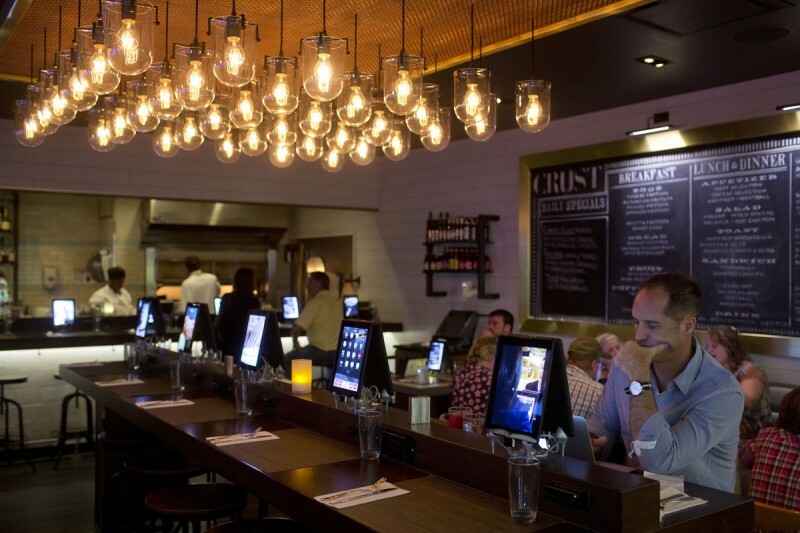 By 2015, United plans to have every restaurant and gate seat in Terminal C outfitted with an iPad. The tablets will allow customers to check flight times and updates, browse the internet, buy food, and make retail purchases with a fifteen minute delivery guarantee. Over the course of the next eighteen months, the Newark tunnel upgrade will add 55 dining venues, 10,000 power outlets, and 6,000 iPads to improve the customer experience in United terminals. "It's really become an expectation in society today to have these amenities," said Alan Bender, professor of aeronautics, airline management and economics at Embry-Riddle Aeronautical University. "U.S. carriers are catching up to where they should be for their passengers, especially for their business passengers, and most especially for their international business passengers." In 2012, Newark's Airport was rated the fifth worst in the United States according to a Travel & Leisure survey that ranked the country's twenty-two biggest airports on problems such as delays, concessions, and amenities. Plans are already in motion to change that statistic, as The Port Authority of New York and New Jersey plan to spend $8 billion on upgrades to LaGuardia, JFK, and Newark airports over the next decade. Hahahaha what a bad title, it seemed that the whole $120 Million was going to the purchase of iPads, although, that would be could, a terminal completely filled with iPads. Just like most surfaces you touch. The best wall of protection is coming into contact with them often, instead of avoiding them. Your immune system needs something to do in order to work. These things will be mobbed because I think Newark still doesn't have free wifi in the terminals. You have to pay Boingo. You are confusing "exposure to germs" as "getting sick". The two are not related to cause and effect. If they were, we'd all be sick and dying 100% of the time. Those were both very interesting reads. Thank you for pointing them out to me. They did something like this at MSP, Delta Terminal G and I loved ordering food and paying for it right at my table without waiting for the waiter. Same at LGA Delta Terminal. It is really quite nice. I'd give up all of this for just one more inch of leg room. Do you have some link to some authoritative literature? You have actually spoken with doctors who encourage you to get sick repeatedly?